Maj. Sibaria Taylor (left) receives her late father's WWII medals from U.S. 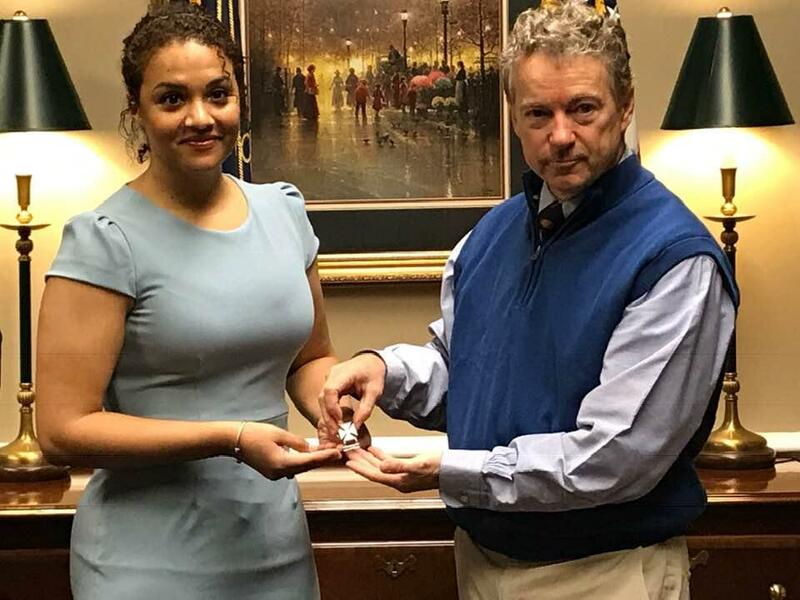 Senator Rand Paul whose office helped PFC Isacc Taylor's family replace the original ones that were lost. 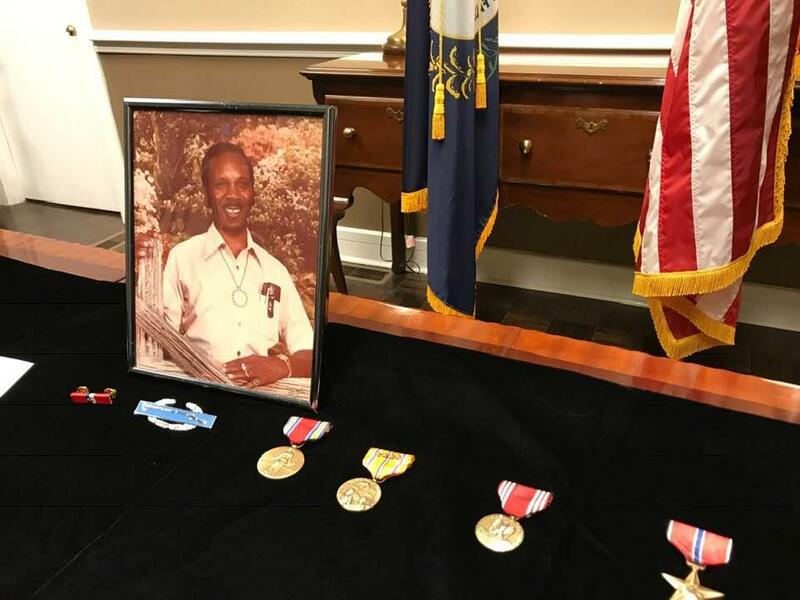 Following a presentation at the lawmaker’s Bowling Green office on Monday, Sibaria Taylor said she’s always known her dad was a hero, but added she’s proud to now have his Bronze Star as a tangible reminder. The medals presented to the Taylor family included the Bronze Star, Good Conduct, Asiatic-Pacific Campaign & Bronze Star, WWII Victory, CIB, Philippine Liberation Ribbon & Bronze Star, Honorable Service Lapel Button WWII, and Marksman Badge & Rifle Bar. Ina Taylor, the widow of PFC Taylor, said the medals are a priceless family heirloom. "I'm just glad this was done because it's something to pass down to the children, to know that he was an important man," Taylor told WKU Public Radio. "They already knew it, but this really concretes that." Senator Paul said ceremonies like these remind him of why it’s important for Congress to carefully deliberate when the country goes to war. He said service members don’t get to decide when or where they deploy, yet willingly go. U.S. Senator Rand Paul of Kentucky is applauding a decision by Senate Majority Leader Mitch McConnell to bring criminal justice reform to a vote by the end of the year. The First Step Act provides the most sweeping reforms to sentencing laws since the 1990s, including reduced prison terms for non-violent drug offenders. Supporters of the measure say it will give judges more discretion around mandatory minimum sentences and will help reduce recidivism.